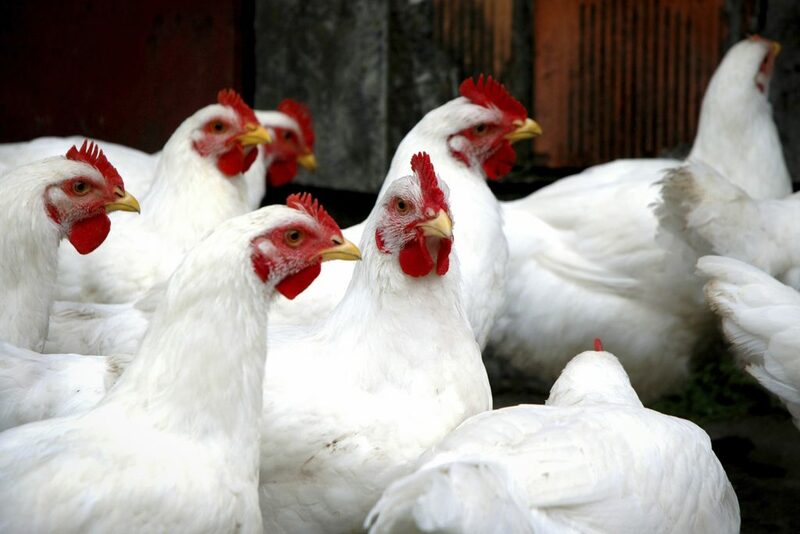 VANCOUVER – The new chicken pricing formula, which took effect last June, is an improvement over the previous formula but still does not put farmers in the black, says BC Chicken Growers Association president Dale Krahn. “Growers are still farming their depreciation,” he told producers at the well-attended BC Chicken Growers Association annual meeting held during the BC Poultry Conference in Vancouver, March 1. While still linked to the Ontario live price, the new formula recognizes BC’s higher chick and feed costs and includes catching costs for the first time. While not rich enough for growers, it is too rich for processors, who have appealed it to the BC Farm Industry Review Board. BC Chicken Marketing Board chair Robin Smith told growers the board will review the first year of the formula with a view to revising it for period A-151, beginning July 8. In the meantime, growers can content themselves with an extra cheque in April. After posting another surplus in 2017, the BCCMB has decided to refund $948,000 to growers in good standing as of April 15. Another way growers can increase their revenue is to produce more chicken. Smith pointed out BC only produced 98% of its 2017 quota allocation. To encourage more production, the board has liberalized its overproduction sleeve and is allowing greater quota leasing. “We are now producing 102% of our allocation and we expect that to continue,” Smith said. That was not good enough for Chad Martin of Armstrong. His fellow North Okanagan growers sent him to the meeting to deliver a strong message. “I don’t think anyone is confident of pricing off Ontario,” Martin said, pointing out Manitoba has “the guts” to set their live price at 7 cents/kg over Ontario. Smith said the board recognizes BC’s margin is lower than in the rest of the country but insisted pricing is a “balancing act. “If we get too far out of line, it’s hard on processors,” he stated. However, Martin did not buy that. He notes the board is supposed to represent the entire industry but cannot do that if it only knows grower margins and not processors’ margins. While pricing dominated the discussion, the meeting also addressed a number of other issues. Most positive was the report on avian influenza. 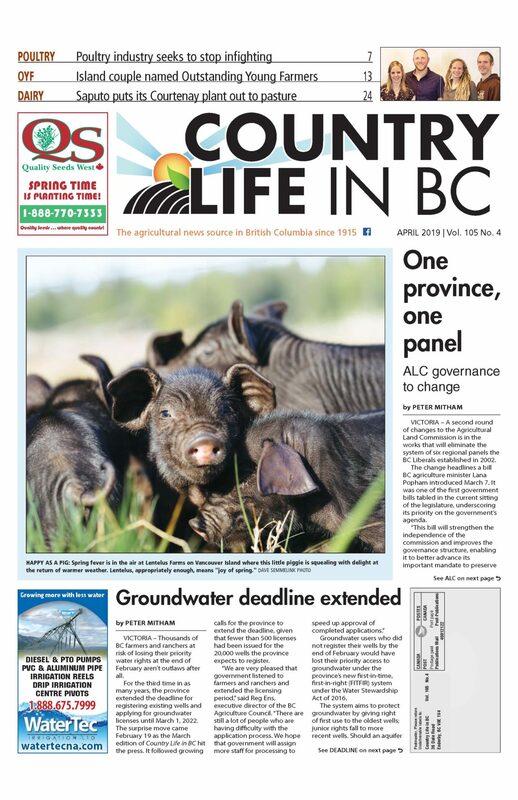 In the past year, growers conducted mock trials in the Fraser Valley, Interior and on Vancouver Island and are now better prepared to quickly quell any outbreaks. Fortunately, the training was not needed this year as no AI outbreaks occurred in the province this winter. That is not the case elsewhere. Krahn noted 120 million birds have been killed in 68 countries due to AI. Growers are also gearing up for coming reductions in anti-microbial use. It is not something they are looking forward to, Krahn said. On a more positive note, Chicken Farmers of Canada chair Benoît Lafontaine reported that the Canadian chicken industry has been reunited. “As of October, all 10 provinces are back in the system bringing eight years of negotiation to a close,” he said, telling growers the new federal-provincial agreement commits the industry to a “dynamic and evolving” system. Dynamic is certainly the word for chicken these days. Production has grown by 12% over the past four years, including 5% in 2017 alone. “We are the No. 1 meat in Canada,” Lafontaine said proudly. To maintain that position, the industry needs to step up efforts to counteract activists’ anti-chicken messaging. CFC’s “Raised by a Canadian Farmer” branding program is crucial to that effort, says BC’s national director Derek Janzen, who was re-elected to the BCCMB. on-farm food safety,” he said. Both he and Smith credited Canada’s supply management system for making the program possible, Smith noting supply management “allows for sustainable family farms.